Researchers are responsible for ensuring that publication information, including electronic copies required for verification, is entered in ResearchOnline@JCU as soon as feasible by either entering the publication themselves or providing the output to the College's publication officer for data entry. 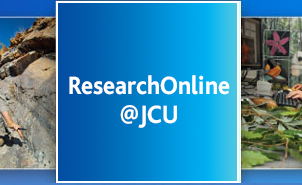 Both researchers and administrative staff can load publications into ResearchOnline@JCU. The depositor of a publication will be notified if library staff make any edits, which will affect the classification of the publication. Each college is responsible for establishing collection and data entry procedures within the College, and the completeness and accuracy of the College data each year. checking that any supporting documentation is complete and provided to the Library. Library Information Resources staff will verify bibliographic data of records entered into ResearchOnline@JCU, and check eligibility for Research Classification (see Publication Categories). Library Information Resources staff will search internet databases and send quarterly lists of potentially unclaimed publications to College / Research Centre contacts. Help guides and support information for depositing publications in ResearchOnline@JCU are available from the ResearchOnline@JCU homepage. In May, their database will generate and mail the final research publication list to each Dean of College / Research Centre Director.